The Alphabet Game is an actual and interactive thing that awakens good mood. It’s a game where players need to be careful about the letters of the alphabet and know when to speak. Also, if someone forgot the order of the letters, they have a good chance to remember and learn this. Prepares a good place to be quiet, it is desirable to play in a hall. Select more volunteers to participate in this game. The game should be explained very well that all participants understand. 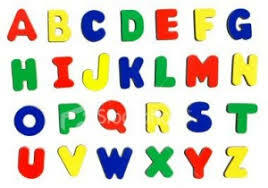 The alphabet game is easy but also checks how well the participants know the order of the alphabet letters. Those who are wrong or get confused are eliminated and will be able to participate next time. Step 1: Create a group of people. They may be different in age, both boys and girls. Step 2: Make this group a circle or two parallel rows. Step 3: Explain the rules of the game. All players have the right to start speaking a letter of the alphabet. Start with letter A and continue in order. Step 4: At the start of the game, everyone leans their heads down, not to see the other’s face. Step 5: The bent heads start, someone started saying aloud the first letter of the alphabet and anyone in the group had the right to say the next letter. The letters are spoken out loud and it is important to say it correctly. Step 6: If two players speak the same letter are removed. Also removes the player who does not say the letters in order. ‍Step 7. Playing in this way until 2 players are in the game. It’s hard to play at the end of the game in two, so a third person will need to intervene. It can be anyone. Playing in three and which of the two players is failing, losing. If the third person has mistakenly played back because he is a neutral person. In this game, it’s harder to give some ideas to get more chances to win because it’s a group game. It is important, however, to be attentive at least not to mistake the letters of the alphabet and to be careful when you say the letter because they can speak the letter with another person. ‍Focus and concentrate on the crowd.